November | 2018 | Mike Lamberti, From Margate To Cleveland, And Back ! 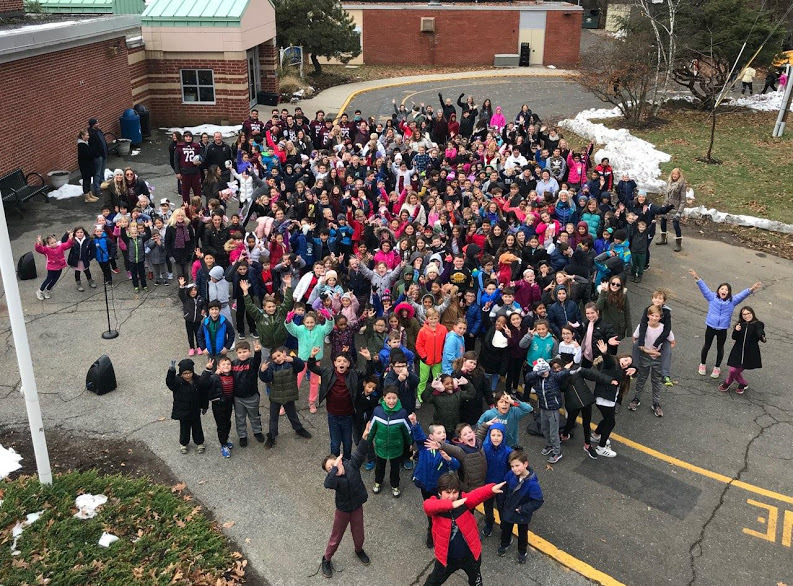 The Pines Lake Elementary School in Wayne held its seventh annual Turkey Trot on the Wednesday before Thanksgiving, with the purpose, once again, to donate food to those less fortunate, who reside in the Pines Lake section of Wayne, as well as raising money during the holiday season. This year’s Trot was especially heartfelt, as one of the school’s former students, Lou Brandt, recently passed away this Oct. 22, after a battle with cancer. Brandt was just 45 years old. He had played football at Wayne Hills and later at the University of Massachusetts. Denise Scalzitti, a teacher at Pines Lake, helped organize the first Turkey Trot, seven years ago. “At the time, one of our custodians had died suddenly, and we wanted to do something to honor him,” recalled Scalzitti. “That first year, we donated money to St. Jude, because our custodian loved that charity. Since then, we’ve tried to remember different people associated with the school, as well as donating food to families who could use it around the Thanksgiving holiday. 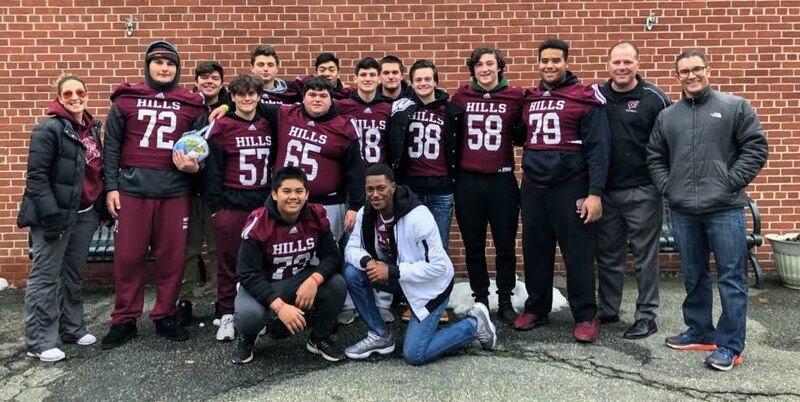 Brandt was a loyal follower of Wayne Hills football, long after he played for the Patriots and was a regular at the team’s annual father-son beefsteak, held on the Wednesday before Thanksgiving. Several members of this year’s state sectional champion Wayne Hills football team participated in the Turkey Trot. The team also donated turkeys to the school, to go along with the food collected. The children, teachers and football players walked and ran around a path outside the school. Demikoff found the experience especially fruitful with the holiday approaching. Wayne Hills won its 10th state sectional football championship on Nov. 16. “It’s very important that our players understand all the great things they have in life, and that there people struggling, in our own backyard,” said Demikoff. “Winning championships is what we strive for as a program, but that would mean nothing if our kids weren’t giving back to their community and representing themselves in a class manner. A championship character is what will help make these young men successful as fathers and husbands later on. Wayne Hills won the North 1, Group 4 state sectional title on Nov. 16, defeating NV/Old Tappan, 20-13. It was the 10th state title for the program since 2002. 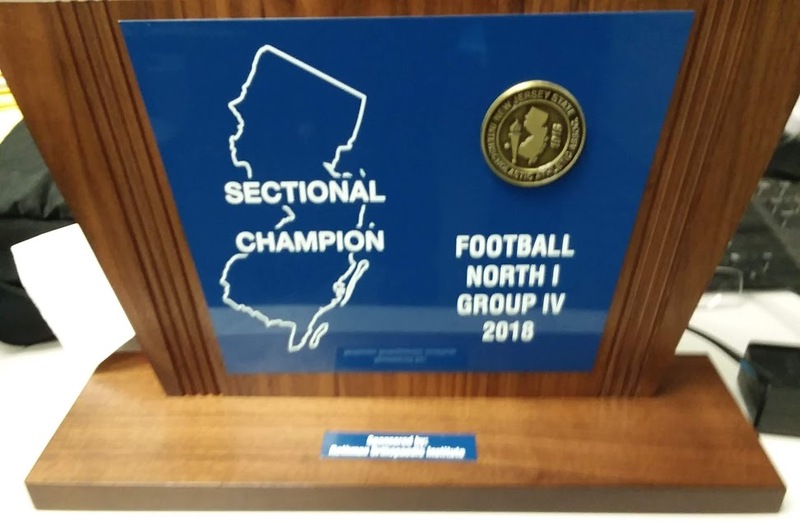 The Patriots will play a North Group 4 Bowl Game, at MetLife, on Nov. 30, against Phillipsburg, at 8 p.m. In addition to collecting food, the children raised nearly $400 toward the Lou Brand fund. The fourth annual George Zanfini Memorial Scholarship Fund Dinner will be held Thanksgiving Eve, Nov. 21, at the Chandelier in Belleville, starting at 6:30 p.m.
Phil Agosta, a Belleville High graduate, has worked hard to keep the dinner’s theme alive and thriving, with the focus always on the fabled Belleville-Nutley football rivalry. The dinner has had many formats, and has always been held on Thanksgiving Eve. The Fiorente Club hosted it for many years. 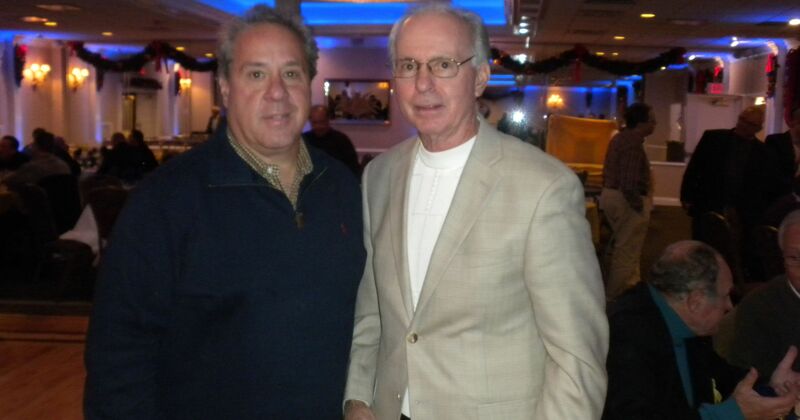 When the Belleville-Nutley game was played on Columbus Day weekend, the dinner looked back on that year’s game. 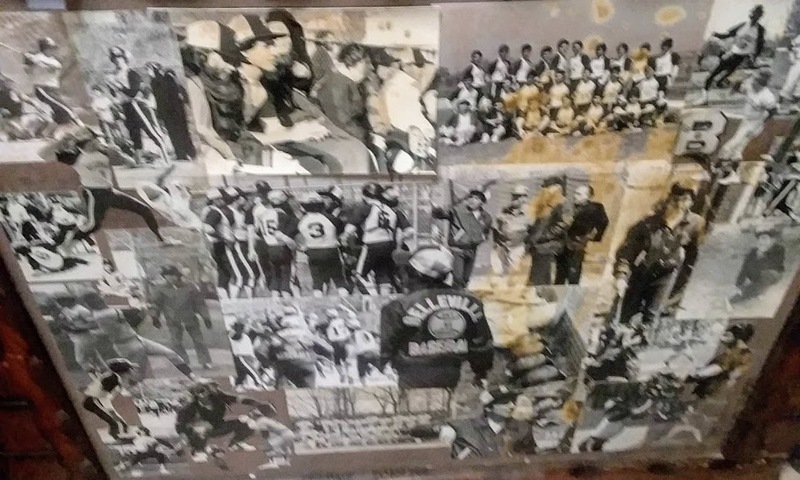 In 1984, the football rivalry was moved to Thanksgiving Day, so the dinner on the night before had extra significance, as former Belleville and Nutley players would reminisce, and the current coaches would speak on the game’s importance. The rivalry was moved back to Opening Day, in 2012 and discontinued after the 2015 game. 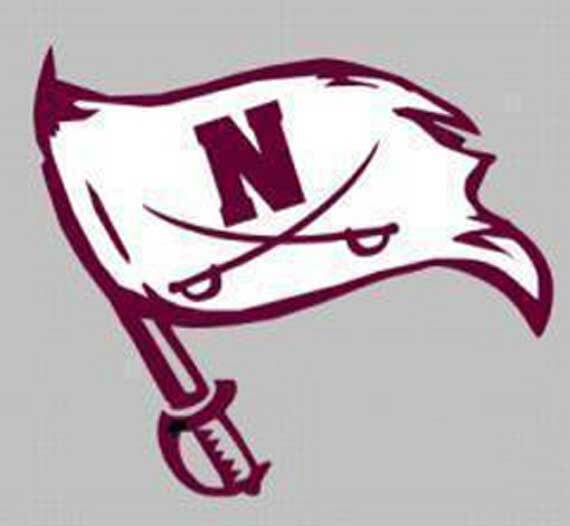 However, the dinner has continued to thrive and this year, with the teams meeting on the gridiron on Nov. 3, there should be some extra energy, as Nutley won an exciting game, 20-13. Zanfini was always a popular figure at the dinner, and never missed the event. 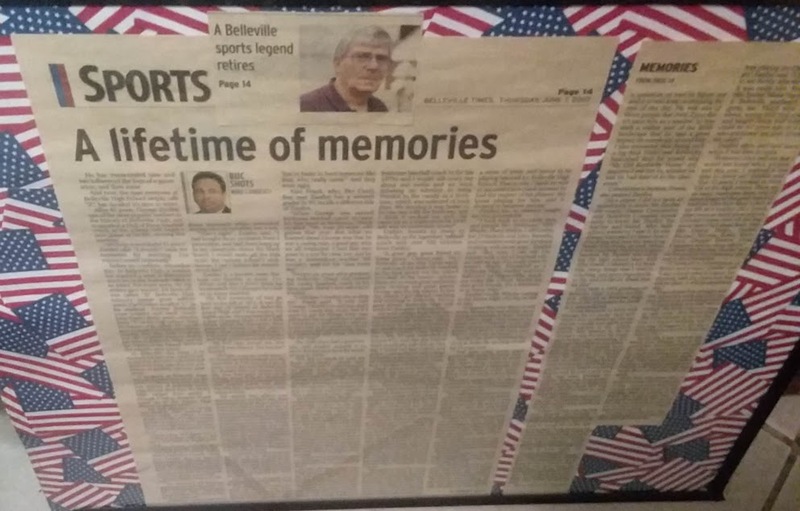 Sadly in August 2015, the Township of Belleville was stunned by the passing of Zanfini, himself a coaching legend and a Belleville High graduate. 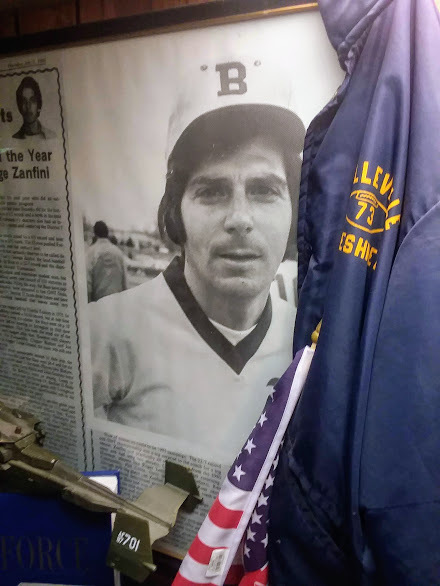 The varsity baseball field had been named after Zanfini since 2008. Zanfini was also a tremendous football coach. He and John Senesky had some tremendous freshman teams at Belleville for six years. After Zanfini’s passing, at the age of 72, the dinner was renamed in his memory. 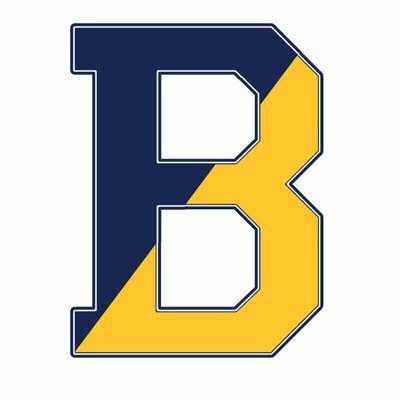 “We started a scholarship fund in George’s name, which benefits students from Nutley and Belleville High,” said Agosta. “Mr. Zanfini was a teacher and coach at Belleville for 40 years. He always loved this dinner and was a regular on the Wednesday before Thanksgiving. Tickets for the event are $50 per person, which includes a full buffet dinner, with beer, wine, soda and dessert. Tickets can be purchased on the night of the event. Full tables of 10 can be reserved in advance by contacting Agosta at 973-980-5190.